November is Preemie Awareness Month - seeing that I have a sweet little boy, now 5 yrs old, that was born 4 weeks early - I thought I would join in on the topic at hand. First off - I thought I would touch on what is a preemie? A lot of people don't consider Mr. J to be a preemie because of his original calculated due date (putting him 36w6days at birth) - but technically, ANY baby born prior to 37 weeks gestation IS considered a preemie - so even without adjusting his gestation due to my ovulation date (which was CD21, not the "standard" CD14, which would have made him 35w6days at birth) he is a preemie no matter how you look at it. Mr. J's story is a bit of a complicated one; when I got pregnant, I did not follow the typical 28 day cycle - I ovulated on CD21. I mentioned to both my GP and my OB - but they both said they would go by CD1 to calculate the due date. I didn't really think about it much, until Mr. J was born. Around 24 weeks, I developed pregnancy induced hypertension; at 32 weeks I was told I was developing pre-eclampsia, I was taken off work and put on bed rest - with weekly NST appointments to monitor the baby. At approx 36 weeks, I was at one of these NST appointments and the on call doctor told me I needed to be induced. My urine protein was high, BP was high and my blood work was not coming back favorable. She was worried the situation would turn quickly, and wanted to be pro-active with mine and babies health. We went home, packed our things and headed in for baby day! The induction took approx 36 hours, and my sweet little boy was born. They knew he was early and expected that he may have some breathing difficulties - he was taken to the special care nursery immediately. For being almost a month early, he was a great weight 6 lbs 3 oz! The pediatrician on call, and the nurses in the special care nursery were adamant that he was NOT 36w6 days like my chart says....after a few questions and me telling them that my O day was at CD21, they had their answers - he was only 35w6 days - which explained most of their suspicions. When he was transferred to CHEO at 22 hours old, we were pretty much told the same thing - he was NOT more than 36 weeks gestation. Having a child in the NICU (well, in hospital at all I imagine) is extremely emotional. Add in your post-pregnancy hormones and you have a very complicated situation even worse. Stress levels are high, family members are on edge and it was just not a good time. My hubby and I fought - he was annoyed with my mom, I was annoyed with his parents and it was just a mess. Everything worked out - but it was definitely rough. Adding in to the mix I had delivery complications (I couldn't pee - I had 7 catheters while I was in hospital - over a 3 day period) and was sent home with one....they removed it at 7 days PP and I ended up having to go to emerg to have a new one inserted because I still couldn't go....it was not a fun experience and made for a much more difficult recovery. At 10 days old, Mr J was released home to us - with a clean bill of health. We were so incredibly lucky to have our little boy with us - healthy and happy. There have been no lasting effects - he does have asthma, and the doctor mentioned that it COULD be related, but there really haven't been studies done. From speaking to respirologists and other doctors - apparently it is VERY rare for spontaneous pneumothorax to occur in a newborn. I am participating in the Preemie Awareness Blog hop - check out the links below to read more preemie stories. I think that you talking about preemies is a wonderful thing. So many peemies and do not know where to turn to. Wow, this was so informative. I'm so glad he was such a healthy weight when he was born, even if he was early! I don't know much about prematurity, so I'm glad I read this. I'm 24 weeks pregnant now and I'm praying for a healthy, full gestation! Even if Julien had been term (which he wasn't, smile), you experienced a lot of problems that most parents don't have to go through. Even one day with a child sick in the hospital is a LOT of stress on a family so almost two weeks is torture. I'm so glad to hear that everything turned out for the best. 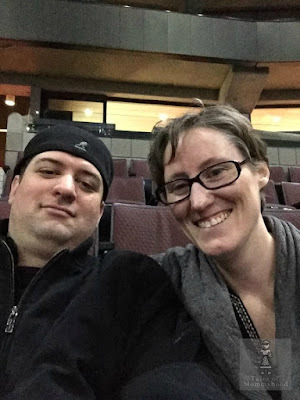 Thanks for sharing your story and linking up. It's so amazing to have found other preemie mamas. I wish I had this kind of support back then, but at least we can offer support to others going through life in the NICU now. Little One was born at 28 weeks. I was on complete bed rest at 21 weeks, but around 18 weeks or so the doctors discovered that my cervix had already started to efface to the point where the baby could have arrived any time. So scary. It's so true what you wrote, when it's your baby it's different. No amount of knowledge can truly prepare you for the NICU. It's scary. I'm happy to hear your little one is healthy now. Great post!! We were in a NICU for 2 weeks with Middle. He was technically born at 37w1day, but when the midwives examined him they think he was earlier than that - he had no creases on the palms of his hands for example. He went grey 2 days after he was born, and off to ER we went, ending up in the NICU. It was horrible - I felt so helpless and isolated. Add in a a jerky doctor and you have a playground for an emotional upheaval! So glad that Mr. J is ok and doing well now. I've been sobbing and smiling through everyone's stories this week. <3 So many babies and so much trauma for momma and babies. What a touching story, thanks for sharing it with us. I am so happy your LO is healthy and happy. I cannot imagine how difficult it was for you during that time. I am so happy to read your story. My second daughter was a premie and she has really bad weight problems now and she's 9. Really glad I stumbled upon your story. I've been following some blogs for some time now and am very happy I stumbled upon yours. Thanks for sharing! My children were all born at term, luckily, but my first son was in NICU for the first 48 hrs due to severe jaundice. There was no tubes but being under the lights with the glasses and iv was scary enough! I can't imagine what you went through! Thankful Julein is a healthy 5 year old! NICU time is so stressful. Add in family and pregnancy complications and it is amazing that you make it to the other side without a nervous breakdown. 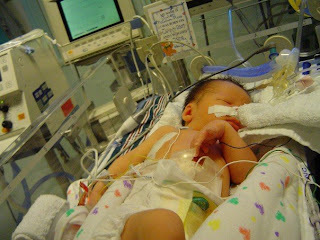 I am the mother of a 24 weeker, micro-preemie. Prematurity awareness is very near and dear to my heart. After 113 days in the NICU she is a thriving 5 year old with no real lasting effects of her very early start to life. I am greatful everyday for the awesome care she received by the talented doctors and nurses of the NICU. There are different degrees of preemie, and you encountered experiences many won't. A nice story. Glad he's well!